If any book should be called Unsettling and Disturbing, this one is a prime candidate. The last third of the tale got not only extremely dark and dangerous, it is also filled with vividly described, horror film worthy scenes and imageries. Expertly done. I probably would have truly loved the entire book if I wasn’t taken out of the narrative flow a number of times when Steve uses highly literary words and phrases that I thought uncharacteristically older than the character’s age and not quite in keeping with the rest of the tone of the very straightforward and effective telling. I was hoping and fearing a truly dark ending and was slightly disappointed (because of the very twisted-minded adult reader in me) and very relieved and pleased that there’s some hope and a lot of growth for both the hero and the reader. And what a complex and admirable hero we have in Steve! How does an author who already won so many accolades to continue pushing herself for such new heights? 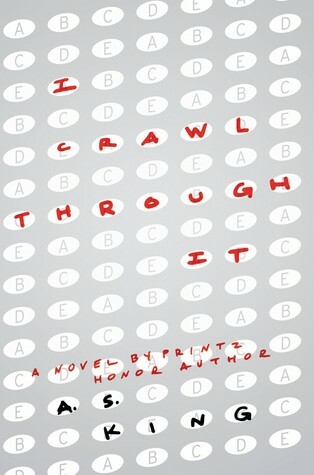 This book has no surprising twist ending: magical or SciFi-esque; it has no flashy mystery elements; it is set in an ordinary school with ordinary middle school students — but yet, one cannot stop reading it because we as readers care so much about the interior lives of the characters (three “main” plus the supporting cast). It makes one feel compassion and empathy towards all who behave “well” and who might have some questionable motivation. It also makes readers marvel at the author’s ability to write a “quiet” book that speaks so loudly on the reality of being a young teen who must navigate the treacherous waters of friendship, social dynamics, and power-structure. The author makes it so that the supposedly bad people (the graveyard dead, a witch, a vampire, and a werewolf) turned out to be super nice and caring. It made us reconsider our assumptions to the people around us. The author effectively uses verbs and action phrases for inanimate objects to create vivid and poetic imageries: tendrils of fog could insinuate themselves into the hall, the graveyard could keep secrets, and the burnt sun could gaze into the world below. We had lots of fun figuring out what Gaiman implies in his text. Silas’ true being is, of course, the most fun to guess: so many clues about what he is without the word* EVER being present in the book. But there are many other things that the readers need to figure out: the characters’ moods, interior thoughts and motivations, etc. In other words, this is a great book for inferences. Paradox is another literary device used often by the author. We bookended the course with this paradoxical phrase: “Glorious Tragedy” that Gaiman used to describe what it’s like to be a parent and how The Graveyard Book can be read as a book about the bittersweetness of successful parenting. This phrase could be used especially to frame much of the last part of the book when Nobody Owens grows too old to be contained within the safety of the Graveyard. Isn’t “growing up” also a kind of glorious tragedy? I asked the four young readers to contemplate in what ways that “growing up” is a glorious tragedy. Each student wrote me a quick feedback on their individual experience with the book. All were positive and had strong emotional reaction to the events and characters in the book. They all enjoyed the “guess” work whenever I asked them to infer a particular subtly presented idea. One student who never read a single English language book before this class vowed to continue reading books in English! I had a blast! The students were diligent and after the first couple of days, were lively and contributed a lot. It’s especially rewarding to closely re-read The Graveyard Book and confirm how finely crafted this book truly is, in every aspect!